Get A Leg Up with RWR® Products. Free Shipping Domestic Orders over $15. Get A Leg Up with RWR® Products! YOUR COLOR IS ALWAYS IN STOCK! Real Women Ride® features their NEW! 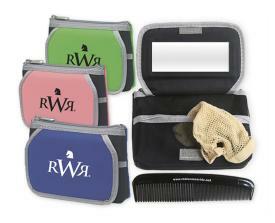 RWR® BUN NET KIT! Great for all riding disciplines! Everything you need in one kit.